I remembered that DARK PASSAGE had a lot of bravura subjective camera stuff at the start, and some unlikely coincidences, but time had erased all other details, so I thought I’d watch it again. 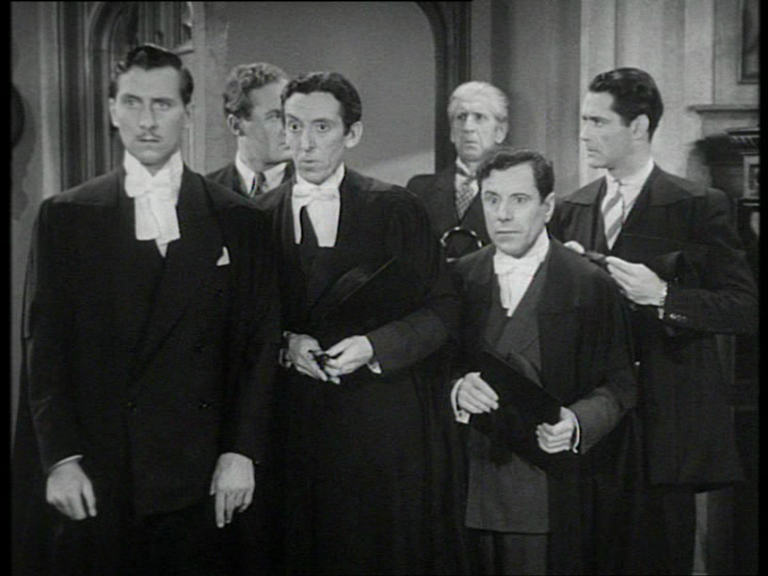 Vince Parry (Humphrey Bogart, a few stand-ins, and a photograph of some other guy) escapes from San Quentin, smuggled in a barrel like the Marx Bros. in MONKEY BUSINESS. When the barrel falls off the wagon, we get the first POV shot, rolling downhill, then an artful POV of the barrel-bottom itself as Parry staggers off. Then we’re into the cool stuff, striking subjective shots as our hero climbs over a fence, thumbs a ride, gets in the car, with cleverly hidden cuts: at one point a pan takes us from a real car on a real road to a studio effects shot (it seems to be a matte rather than the usual process shot — I don’t know why this should be). Parry, wanted for murdering Mrs. Parry (he’s innocent, of course) gets plastic surgery which makes him look like Humphrey Bogart — the only time in history anyone has done this. An hour in, Bogie takes the bandages off, so the slower audience members finally realise the reason for all that concealment. Rather than deal with the estrangement of the leading actor being subbed halfway through the film — which is always a problem — Daves has withheld his star from our gaze for most of the movie. During the in-between bit, we can see Bogart but he’s swathed in Invisible Man bandages. Oddly, they make him look like Eddie Cantor. I would like a movie where Humphrey and Eddie play brothers, please. The fascinating thing is the way so many of Daves’ techniques separate Bogart’s face from his body. Or other peoples’ faces from their bodies. The location stuff at the start evidently created sound problems — the camera tends to pan off people before we hear their voices. Of course, the gigantic sound kit of the period couldn’t even fit in a car, so the driving scenes had to be done mute. Bogart has a VO to help us through his POV scenes, but when the actor steps onto the screen for real, wrapped up like the mummy, he is unable to speak because of his operation, and the VO doesn’t come back. Daves even shoots part of a conversation over coffee and candlelight through a window during a rainstorm, so Bacall’s dialogue is unheard.